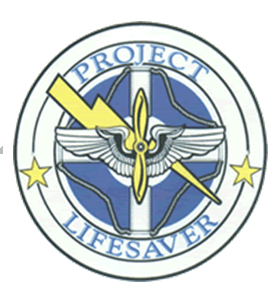 Since 2003, the Union County Sheriff’s Office in cooperation with Project Lifesaver International continues to bring to the citizens of Union County a valuable service in Project Lifesaver. This program is a valuable tool for law enforcement to assist in the locating of lost or wandering individuals who suffer from Alzheimer’s Disease and related dementia disorders such as Down’s Syndrome and Autism. The facts are that over 5,0000,000 people in the U.S.A. have Alzheimer’s Disease. That number will triple by 2050. Well over 50% of these people will wander or become lost and possibly put themselves at serious risk of injury or even death. These individuals usually will not call out for help and will not respond to those who may be searching for their safe return. The first minutes after a loved one is noticed missing can be extremely stressful for the family. Knowing what to do and who to call can be vital to a quick and safe recovery. Project Lifesaver relies on proven battery operated radio transmitter technology and specially trained Sheriff’s Officers from the Search and Rescue Unit. Once a tracking unit is placed on the wrist of a participant, a pulse wave radio frequency is emitted from the device 24 hours a day / 7 days a week. The radio signal frequency is unique to the person wearing the tracking unit. Should an emergency arise, an on call Sheriff’s Officer will respond to the last known location of the individual. With specialized equipment, the officer can start tracking the “signal” that is emitted from the unit. This equipment will hone in on the signal which can lead to a quick recovery. For those who cannot afford a unit, one may be provided free of charge providing that units are available at time of request. Previous year financial statements will be required to show need.